John Ashbery was born in Rochester, New York, on July 28, 1927. He has won nearly every major American award for poetry and is recognized as one of America's most important, though still controversial, poets. In an article on Elizabeth Bishop in his Selected Prose, he characterizes himself as having been described as "a harebrained, homegrown surrealist whose poetry defies even the rules and logic of Surrealism." Ashbery has published numerous collections, beginning in 1953 with Turandot and Other Poems (Tibor de Nagy Editions). His Self-Portrait in a Convex Mirror won the three major American prizes: the Pulitzer, National Book Award, and National Book Critics Circle Award. Recently John Ashbery was the winner of the Special “Premio Napoli” 2009 Prize for World Literature. John Ashbery is the author of more than twenty books of poetry, most recently Planisphere (Ecco, 2009); A Worldly Country (2007); Where Shall I Wander (2005); Chinese Whispers (2002); Your Name Here (2000); Girls on the Run: A Poem (1999); Wakefulness (1998); Can You Hear, Bird (1995); And the Stars Were Shining (1994); Hotel Lautrémont (1992); Flow Chart (1991) and April Galleons (1987). He began writing about art in 1957, serving as executive editor of Art News (1965-72), and art critic for New York Magazine (1978-80) and Newsweek (1980-85). Ashbery's art criticism was collected in Reported Sightings: Art Chronicles, 1957-1987 (1989). He divides his time between New York City and Hudson, New York. John Ashbery is the author of more than twenty books of poetry, most recently Planisphere (Ecco, 2009); A Worldly Country (2007); Where Shall I Wander (2005); Chinese Whispers (2002); Your Name Here (2000); Girls on the Run: A Poem (1999); Wakefulness (1998); Can You Hear, Bird (1995); And the Stars Were Shining (1994); Hotel Lautrémont (1992); Flow Chart (1991); and April Galleons (1987). 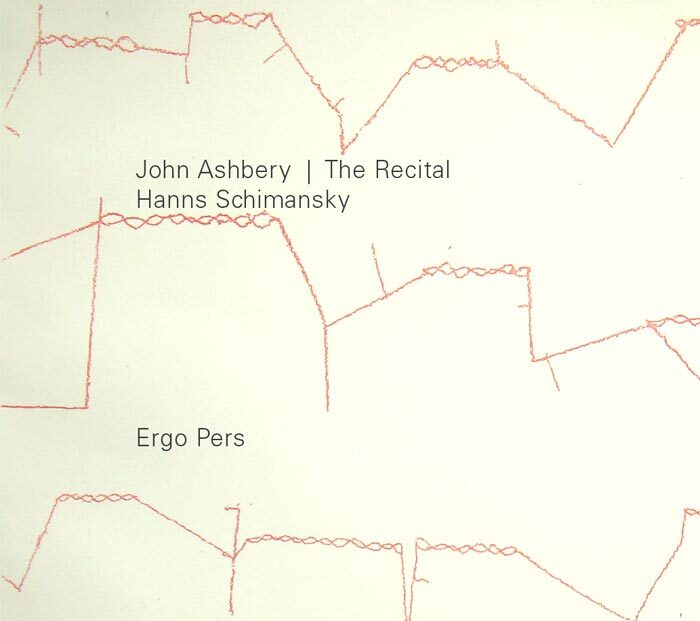 Planisphere, unlike other Ashbery books, is designed and composed by Quemadura (a.k.a. Jeff Clark). David Kermani's John Ashbery: A Comprehensive Bibliography is a standard reference in the field of Ashbery studies. Ron Silliman "Think about John Ashbery’s Three Poems. A video of John Ashbery speaking at the 35th Anniversary Celebration of the National Book Critics Circle on September 12, 2009, is now posted at the NBCC blog.